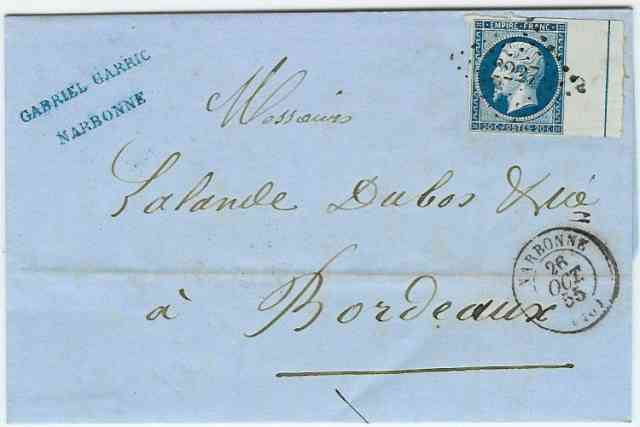 This folded letter was mailed from Narbonne. Narbonne is on the Mediterranean about 180 km west of Marseille. The stamps was cancelled with a lozenge of dots with what appears to be the numeral 2227. The letter has a clear Narbonne CDS. The letter was addressed to Bordeaux. in western France 50 km inland from the Bay of Biscay. There are no receiving marks.